I’m sure you think French-Mexican food is a new type of fusion cuisine. 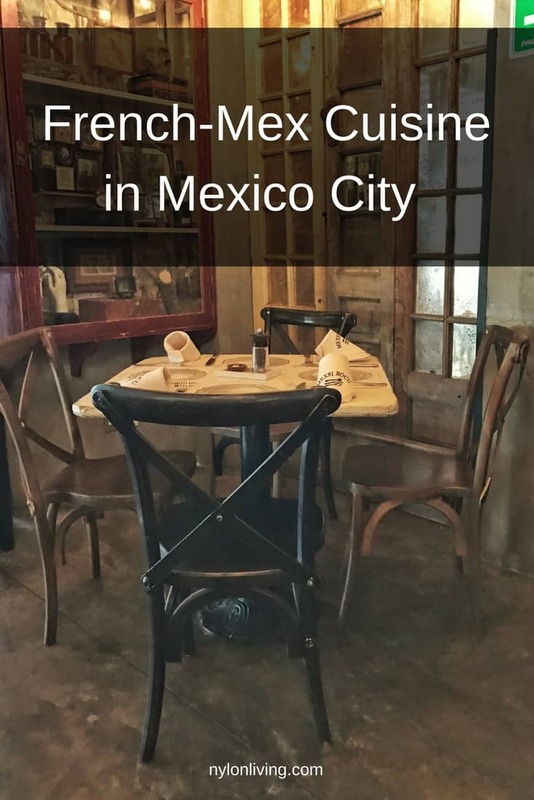 In fact, French-Mexican cuisine has a history going back to the 19th century thanks to a couple of ill-fated French invasions of Mexico and a love affair with all things French by upper class Mexicans. 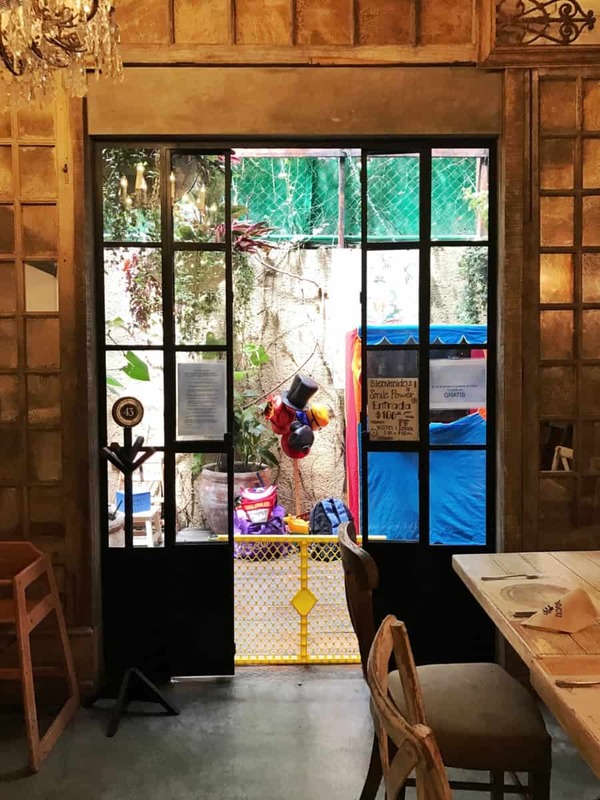 We tried French-Mexican food for ourselves at the charming bistro/restaurant, Mexsi Bocu in Mexico City. Did you know that France tried to flex its muscle in Mexico briefly in the 19th century? Twice in fact. The first French intervention lasted a year and was in response to a French pastry chef who wanted reparations because Mexican soldiers had trashed his store. 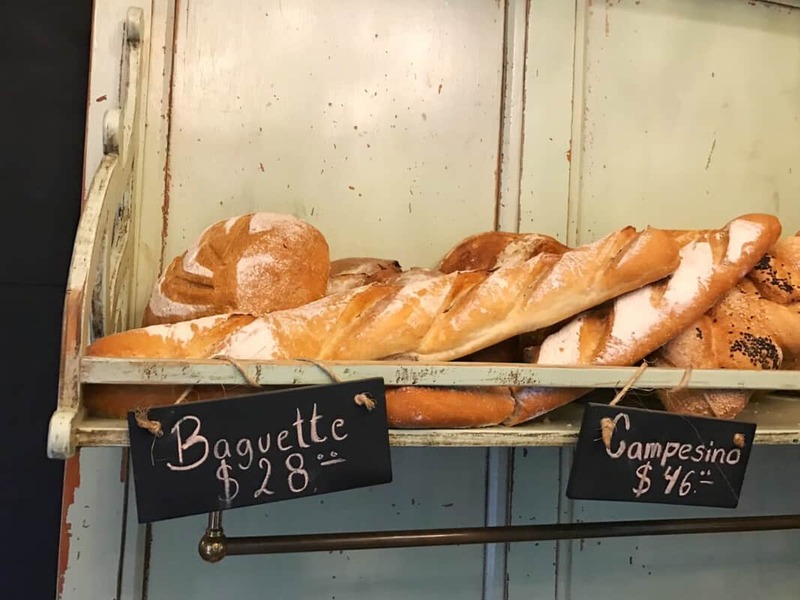 It got nicknamed the “Pastry War”. The French invaded again in 1862 on the pretext of debt that the Mexicans hadn’t paid. In reality French Emperor Napoleon III wanted access to the silver in Mexico to shore up his coffers. Napoleon III also sent an Austrian prince along to Mexico who was proclaimed Maximilian I, Emperor of Mexico. Maximilian and his wife brought along a retinue which included cooks. Many Mexicans were less than thrilled with the new Mexican Empire and fought the French invasion. By the way, the annual Mexican celebration of Cinco de Mayo commemorates a defeat of the French forces by the Mexican army in 1862. The Mexicans were ultimately triumphant and Maximilian I was executed in 1867. His faithful chef accompanied him to his execution. The French may have retreated across the pond but they did leave their mark on Mexican food though. France was the height of sophistication in the 19th century so it’s only natural that the Mexican upper class would want to include French influences in their food. In addition, even after the French invasions, the President who took over for 35 years was a major Francophile who had his own Parisian chef. Mexican food is a blend of indigenous, Spanish and French cuisine. 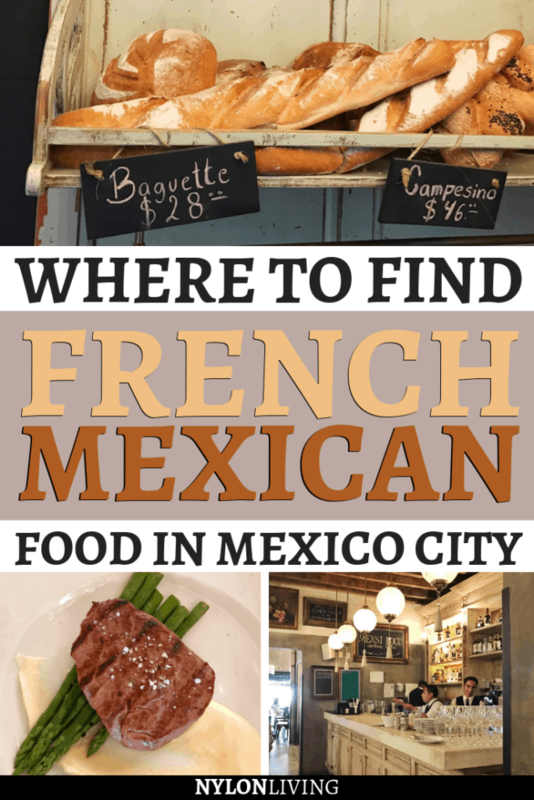 The result of French foray into Mexican food? You have dishes like garlic butter shrimp, chiles en nogada (with a walnut cream sauce) or enchiladas suizas (with a cheesy cream sauce). 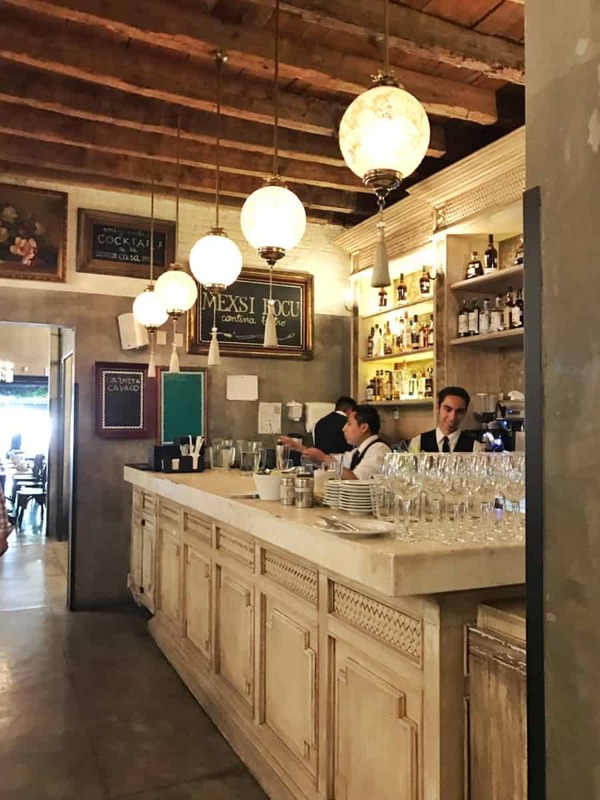 We tried French-Mexican food at Mexsi Bocu in an upscale area of Mexico City. I’ve seen this area described as Polanco but also as Condesa – considering both areas are chi chi I think the dispute is irrelevant. We were recommended this restaurant by our hotel, the Villa Condesa. I was told to try the Mexican delicacy ant eggs (escamoles) served on a tortilla. This sort of taste testing I usually leave to my husband who is far braver than me. He wasn’t available so I had to try it for myself. It tasted a bit like salty refried beans. 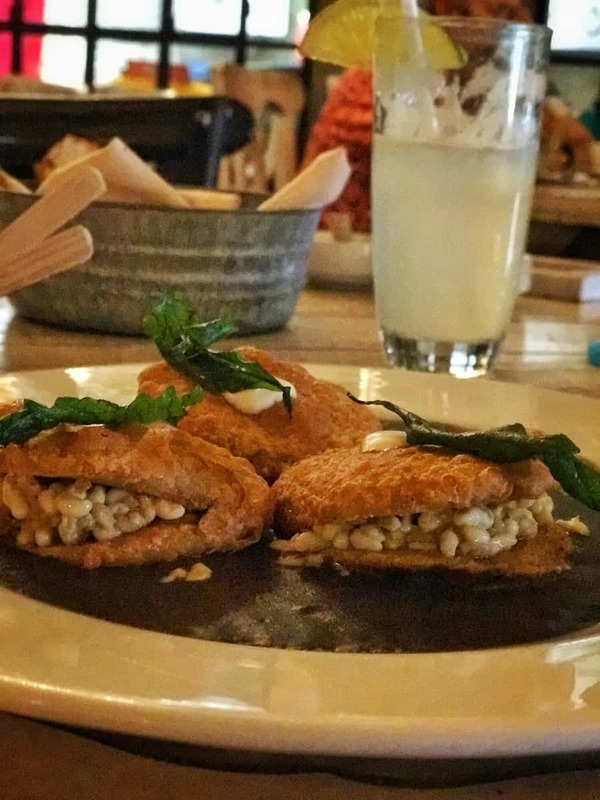 According to Vogue, escamoles are known as Mexican caviar. Ok, they are salty and eggs but that is about as close to caviar as I thought they came. I also had a creamy parsnip and carrot soup – very much a veloute in the French tradition. 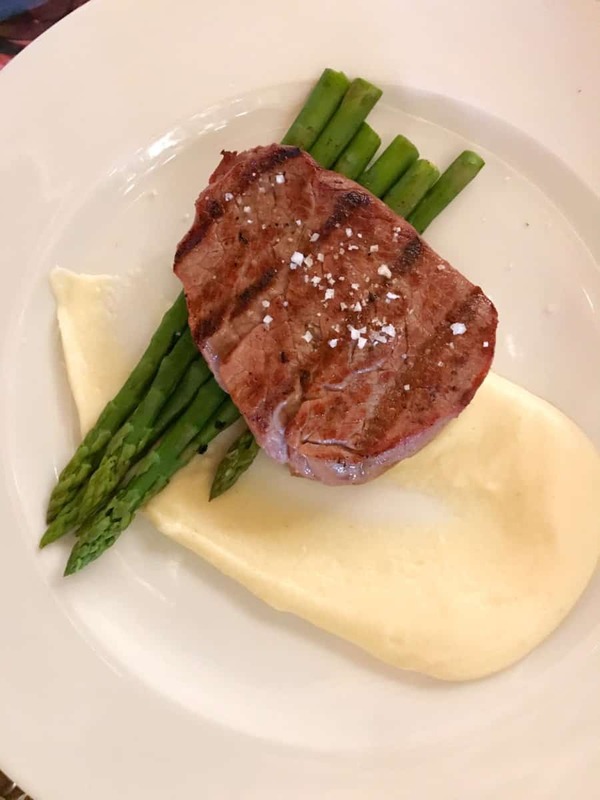 My son had the steak, asparagus and mashed potatoes which he pronounced delicious. 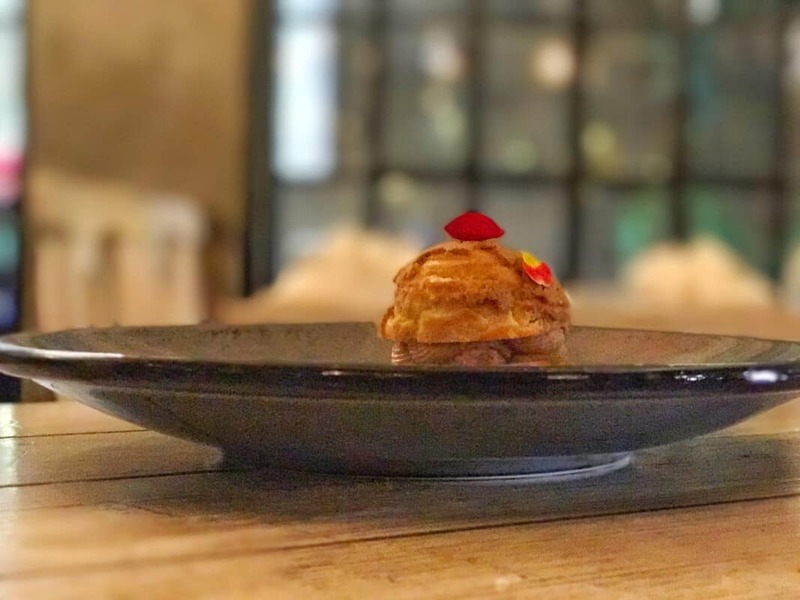 He chose a dessert that was a caramel chocolate choux pastry ball which he also wolfed down. I was told the bar had an excellent choice of tequila and mescal. I stuck to fresh lemonade though. I loved the way the bistro/restaurant was decorated. 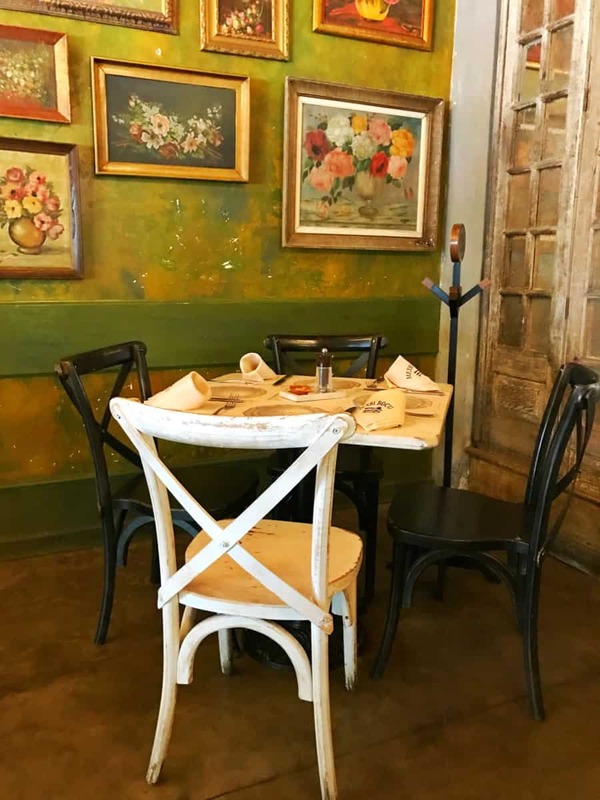 It was a charming mix of artfully mismatched antiques, distressed mirrors and elegant chandeliers. The place was light and airy thanks to the use of industrial-style glass windows and dividersthe use of industrial-style glass windows and dividers. The front of the restaurant has open patio doors which looks out partially onto a gas station. Probably not the best view but at least the street is relatively quiet. My absolute favourite thing? The side patio had a creche for child care staffed by two people. So you could have a civilised meal and leave your younger children to play nearby. You had to pay 100 Mexican Pesos (about $5.5) but it’s totally worth it. If only more upscale restaurants had this option. 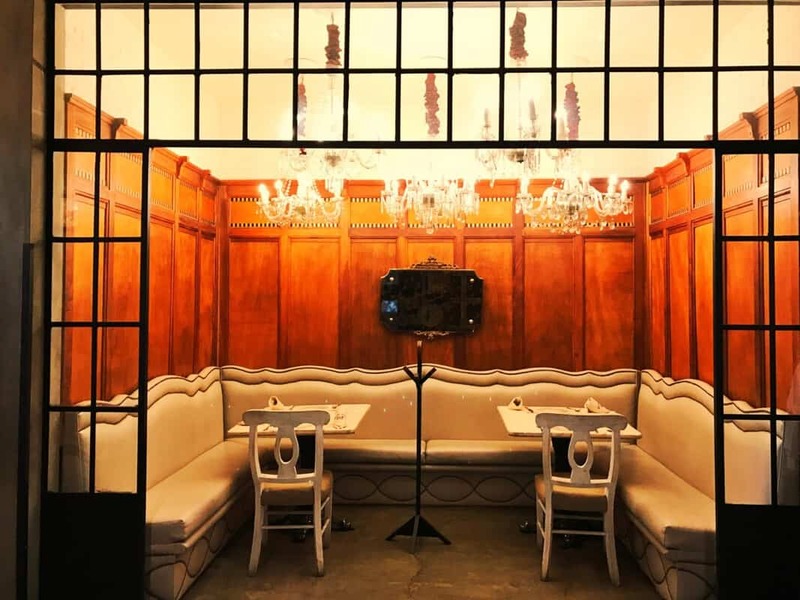 Even though this restaurant is elegant, it was not stuffy or pretentious. The staff were friendly even if they didn’t speak English. There was no English menu available either. They managed to find someone who could help us order though. Freshly baked bread, oven-baked garlic and home made butter were provided for the table. We were there for a late lunch and it was a mix of clientele. 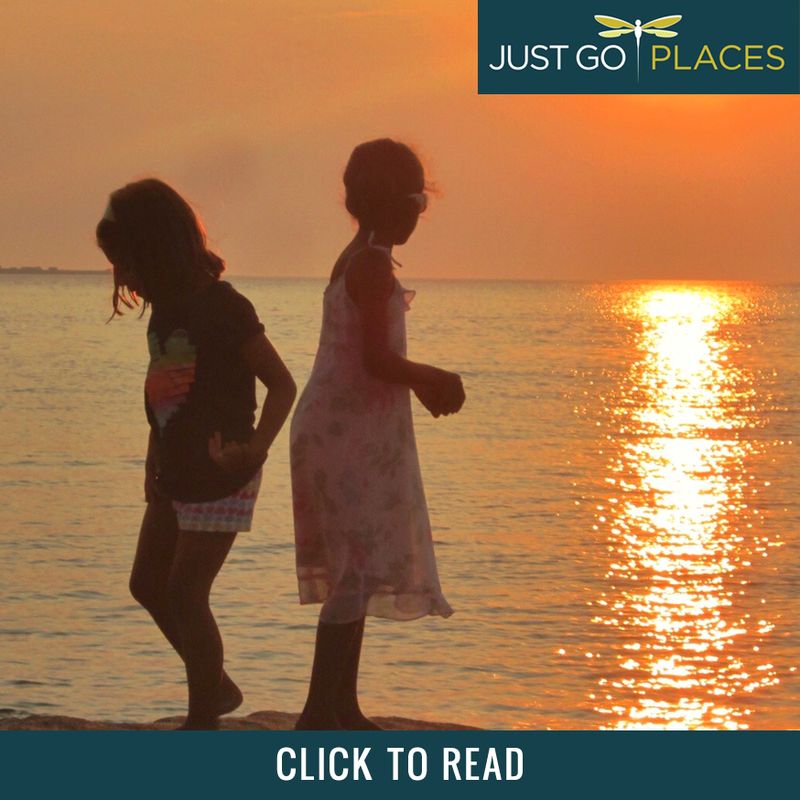 Families, couples and gossiping ladies-who-lunch types. 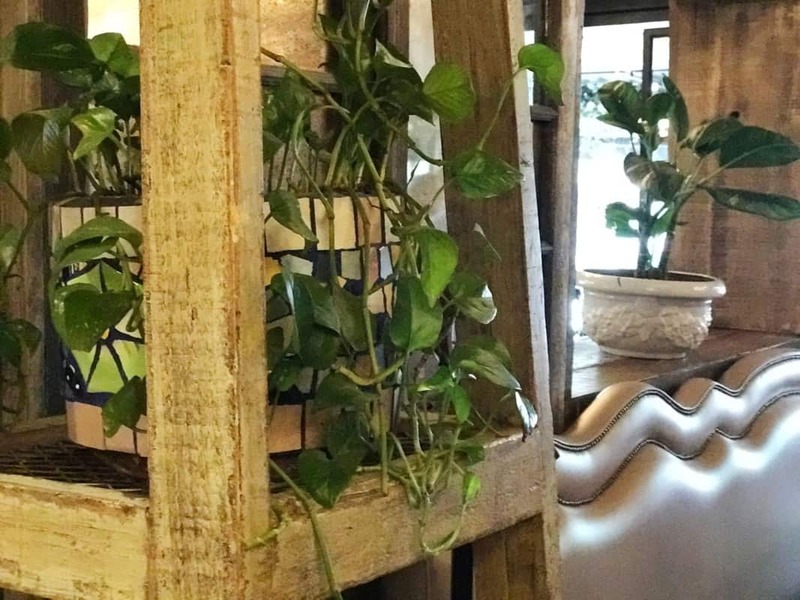 Plants add a touch of greenery and warmth with all this wood. 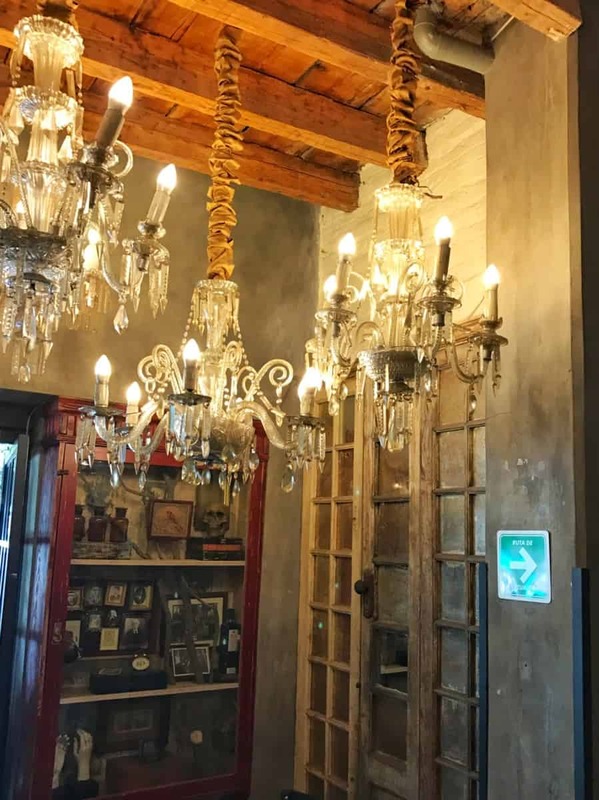 Who said you can’t hang chandeliers in a bunch? 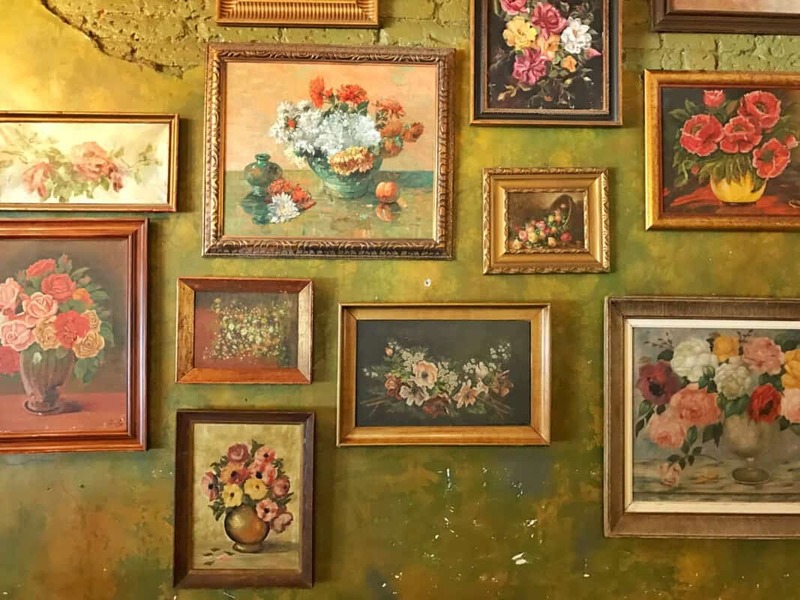 A gallery wall of floral paintings. 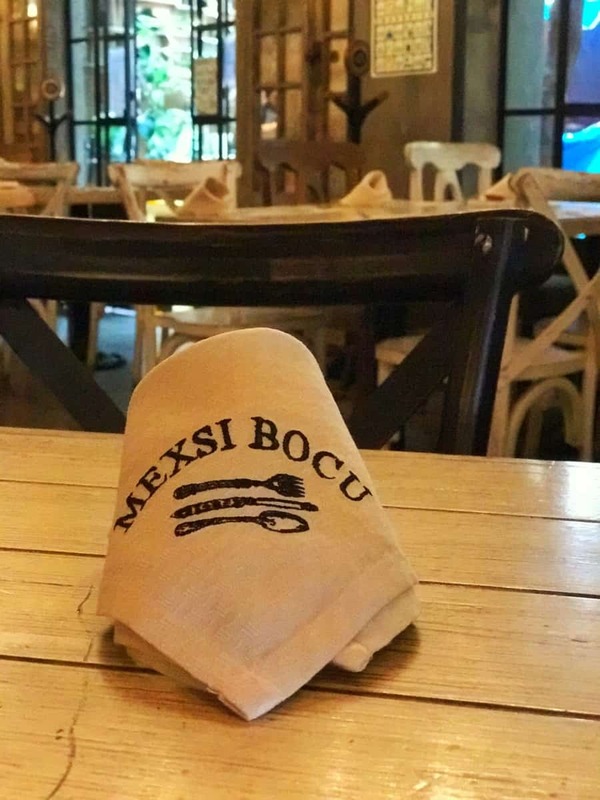 Mexsi Bocu is located at Durango 359, Colonia Norte, Mexico City 06700. Check out TripAdvisor reviews for the restaurant. The restaurant is a few minutes walk from the Hotel Villa Condesa where we stayed and which we loved. Check out TripAdvisor reviews for the Hotel Villa Condesa. 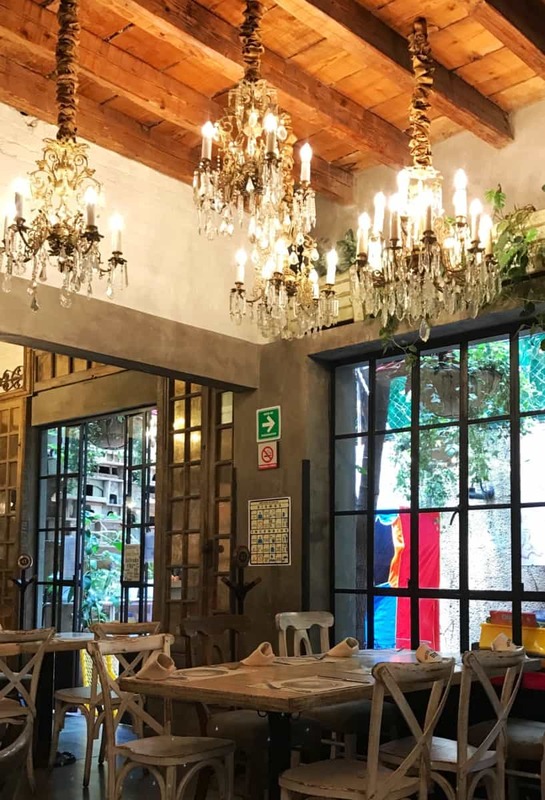 Like the look of this French Mexican restaurant? Spread the Word! Pin this to your Pinterest Boards for future reference!